Careers in the medical cannabis space encompass a broad range of opportunities. In addition to career opportunities within the growing number of dispensaries across the country—most often as budtenders or product specialists—are professional roles in cultivation producing the actual medicine so many patients need on a daily basis. One occupation that’s sometimes overlooked by those seeking a career in cannabis is the role of medical cannabis provider, which combines a bit of all three jobs mentioned above. Perhaps you have a relative or loved one who is suffering from a chronic ailment like cancer, and you want to become personally involved with providing relief. The role of a medical cannabis caregiver differs somewhat from being a medical cannabis provider who works in a dispensary, but many of the same principles apply. The requirements of a medical cannabis provider vary by state—but this is typical for nearly every job in this industry. However, the inherent qualities necessary for anyone to succeed in this role are compassion for patients and their needs, a thorough knowledge of present and emerging products relevant to patient needs, and a thirst for knowledge about changing laws and industry trends. To get started as a medical cannabis caregiver, your first step is to research the laws in your particular state. What is legal and a common practice in one state is often illegal in another. Until the federal government provides universal guidelines for cannabis use nationwide, each state is essentially an island in a sea of other states, each with its own rules and regulations. There is some commonality among the medical marijuana laws in several states. Some states allow medical caregivers to obtain, transport, cultivate, and process (cure) the cannabis used for their patients. These states do not allow caregivers to use cannabis themselves unless they also qualify as being a legal medical marijuana patient. If you would like to be a personal caregiver to patients rather than work in a medical dispensary, you will need to become familiar with current medical cannabis laws in your state. NORML provides online information about medical cannabis laws and is a good place to start your research. Vital information specific to personal medical cannabis caregivers can be found here for those interested in this niche cannabis field. For most states, the prerequisites of being a personal medical cannabis caregiver are not extensive or stringent. In Colorado, for instance, you must meet the following qualifications: (1) Be 18 or older, (2) be a Colorado resident, (3) not be the patient’s physician, (4) not have your own primary caregiver, and (5) not be licensed as a medical marijuana business. Whether you become a personal medical cannabis caregiver or you work as a medical cannabis provider in a medical dispensary, the same principles apply to both jobs. As with any job, some job-specific—and ongoing—education will be necessary to do a good job regarding your recommendations to patients. A person who is a medical marijuana patient must rely on a person or dispensary to provide advice as well as serve as a designated source for medicine. Good medical cannabis providers need to know their business. Regardless of the state you live in or whether you’re a medical cannabis provider or caregiver, you want to dispense the best possible flower, edibles, or concentrates you can possibly provide. Not all flower or products are created equally—far from it. The highest quality flower will also produce the best edibles and concentrates. Strive to provide the best products, and only settle for stocking top-shelf product. Your patients will recognize the difference and be thankful for your high standards—and you derive a sense of pride in being better than some other people working in your field. If you wish to work in a professional capacity with medical cannabis, becoming a sound information source is essential. A good place to start is gaining a knowledge about specific strains and strain-specific concentrates. 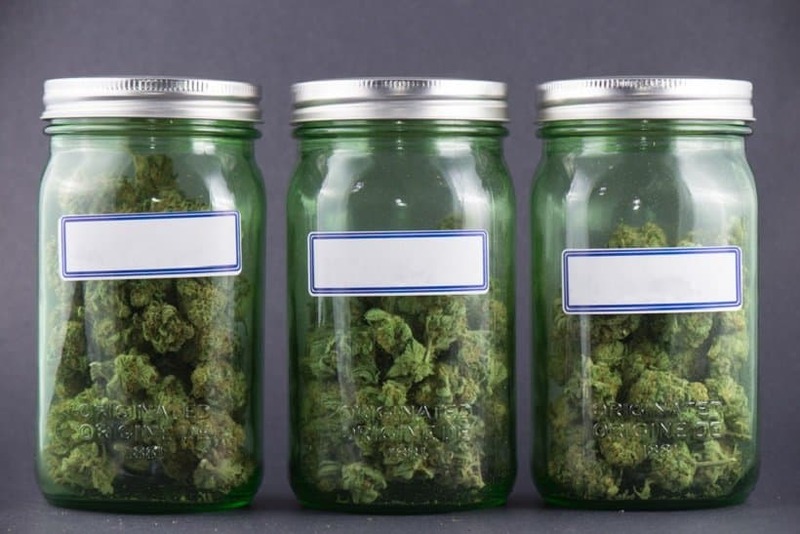 What are the top indica and sativa strains currently on the market—as well as the many hybrids that lean heavily one way or the other. Research which strains help patients the most—and for which ailments. What methods and products can medical marijuana providers use in your state? Are edibles legal? How about concentrates? If so, a plethora of products are at your disposal to recommend to your patients. Many people don’t enjoy smoking or the perceived stigma connected to it. Edibles may be the perfect alternative. For those patients who want to use flower as medicine, perhaps using a vaporizer would appeal to them. Because some medical cannabis patients are seeking medical relief from a natural source that is harmless compared to pharmaceutical opiates, they may not be familiar with cannabis from previous use (other patients will no doubt be familiar with the plant and may even be veteran consumers). Assume nothing when advising a new patient. Asking a designated series of introductory questions should be standard protocol when conversing with new patients. Did the strain (or product) provide adequate relief for your medical condition? Did the strain make you feel too sedated? Did the strain produce anxiety or a panic attack? Did the strain produce any side effects you didn’t like? How did the strain rank among other strains or products you’ve used for the same medical reason? How long did this strain provide relief? Have you decided between indica and sativa when it comes to meeting your medical condition needs? All things considered, do you prefer concentrates, edibles, or flower to serve your medical needs? Communication like this is important in order to rank how your patients are responding to treatment and will help you hone your skills as a medical cannabis provider. Ready To Get Started As A Medical Cannabis Provider??? Working in the medicinal cannabis field is a rewarding occupation because you can observe the relief it gives people firsthand. It’s honorable work and necessary today’s modern age, because many people appreciate options that can be more effective or safe than conventional pharmaceuticals. Give serious consideration to working in the medical cannabis field. Legions of people could benefit from the relief and information you will provide!